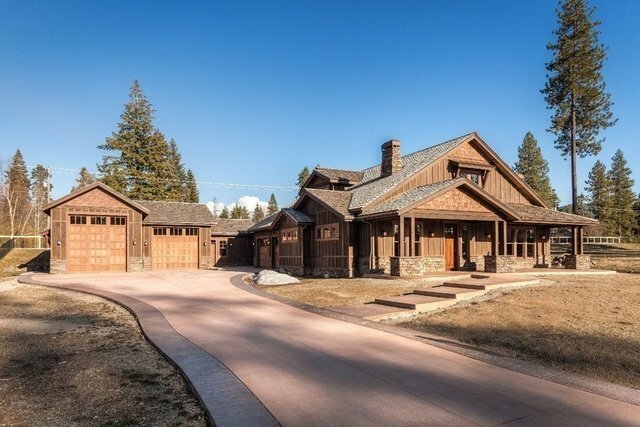 Luxury Craftsman at Gated exclusive Bear Creek Estates in close-in Hayden! Boasting 3255 SF with a SHOP for RV (13' Door) and toys, Boat (11' Door) and a private office in SHOP area. Private, quiet community with an easy living NEW Main floor living luxury home with luxury touches and amenities such as honed granite counters, Douglas Fir wood floors, Anderson windows and doors, wet bar, Master on the MAIN LEVEL with luxury en-suite, open design and great entertaining spaces inside and out. Covered BBQ and Firepit patio, landscaping and custom closet, Washer and dryer comes with or allowance to do what you want!